The Sleeping Beauty's Fairy Tale (10542) Lego set is no longer directly available from the sites below. However, 3rd party partners of these sites might still have the set available. 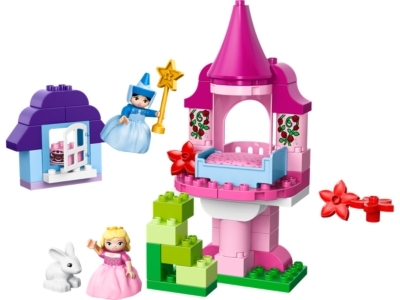 Alternate description LEGO® DUPLO® Sleeping Beauty’s Fairy Tale will fill your child’s world with magic, from her castle tower to the enchanted forest cottage.